Beer traps lure slugs to an alcoholic end during night hours, when the pests are out and about grazing on your plants. Attracted by the scent of the yeast in beer, slugs climb inside beer traps and eventually drown. Beer traps, however, provide only partial control of slugs. Besides making and setting beer traps, you can use an additional method to control the pests further. For example, search your plants after dusk with a flashlight to find slugs, and destroy them. Beer traps also attract and kill snails. Containers used as beer traps should be about 1 to 3 inches deep and waterproof. Shallow containers are best because they don't require a large volume of beer to fill them to the rim, but they must be deep enough to submerge slugs in beer when the creatures climb into the containers and find it difficult to climb out. Pie plates make adequate slug traps; but when uncovered, they can fill with rain and overflow, washing away the beer. Plastic containers with lids are less likely to fill with rain. 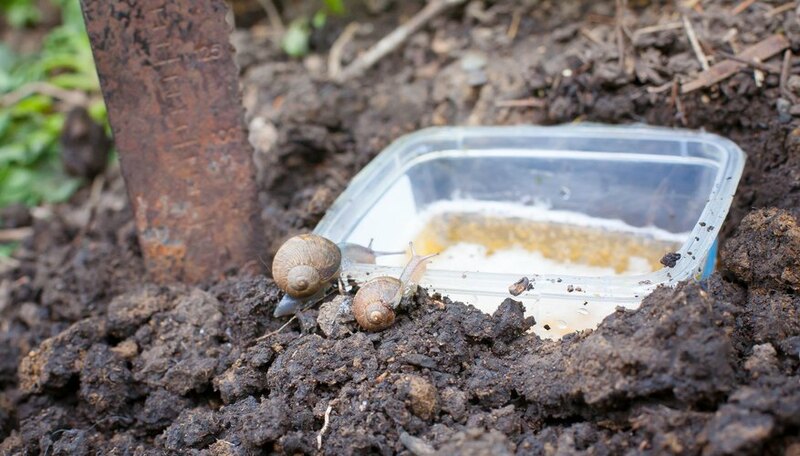 Make 1-inch-diameter holes at two edges of the containers or lids so that slugs can enter but most rain will stay out. If you also trap snails, then make the holes 1 1/2 to 2 inches wide. Another option is to use uncovered containers but place tiles or pieces of wood that are slightly raised on stones on top of them. Setting beer traps effectively helps trap the most slugs. Place the traps within 1 foot of the plants you most want to protect. Slime trails on the ground and/or dead leaves may indicate the slugs' regularly used paths. Place the traps along those trails. Bury them so that their rims are at or just below ground level. This arrangement makes it simple for slugs to climb into the traps and avoids making them slide over a sharp edge, which may deter them. Move the traps to different places if they don't trap many slugs. Slugs aren't beer buffs. They're attracted to all kinds of beer, or even just a yeast solution. The alcohol component of beer isn't what attracts slugs. 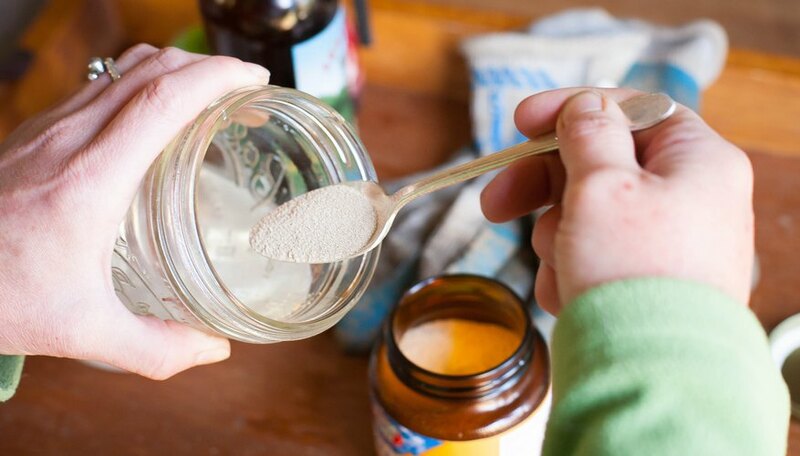 You can use the least expensive beer or even old dregs of beer that lost its fizz. If you don't want to waste beer on slugs, then dissolve 1 teaspoon of dried yeast in 1 pint of cold water, and fill the traps with the resulting solution. Slugs also drown in water. So if you run out of beer and yeast, fill the traps with plain water. The water won't attract as many slugs as beer or yeast would, but it may catch the unwary ones. Beer traps for slugs are effective only with daily monitoring. Check the traps every morning, and dispose of their dead slugs. If any slugs are still alive, placing them in hot soapy water will kill them quickly. Top up the traps with fresh beer or yeast solution, or empty, wash out and refill traps that look or smell offensive. Alternatively, if the weather is hot and the beer may evaporate during the day, wait until evening before refilling the traps. If your traps also catch ground beetles, then you may wish to consider using a different slug-control method. Ground beetles, which are black and 1 to 2 inches long, are slug predators.